Foam Fund: hold a share in Foam's success. Foam Fund is a dynamic and enterprising group of private individuals and businesses that make the museum's talent development and education projects possible. By taking a share* in Foam's success, you will support an enterprising museum and become part of an involved group of people. 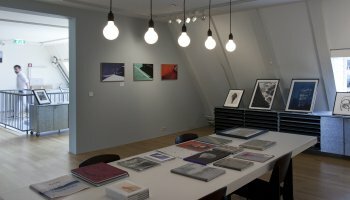 In return for their investment, Foam 'shareholders' also receive unique 'returns-on-investment' prints from photographers from the talent programme. Foam Fund is for anyone who appreciates Foam's discerning focus and wants to contribute. Participating in Foam Fund is essentially a gift, and to show our appreciation, you will receive 'shares in Foam's successes'. A share costs at least €4000 and comes with a commitment of two or three years. Private individuals can benefit from the geefwet (gift law), which grants them the fiscally advantageous option to make an annual donation of €1750 over a period of six years. > Calculate your tax benefits if you make a gift to Foam. 2 Foam Fund cards granting unlimited free admission to the museum for 2 persons (4 persons total). 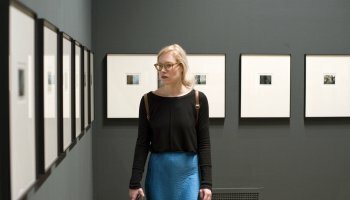 Free access to ten renowned photography museums abroad. An annual photo print in a very limited edition by one of the young talents that have exhibited their work in Foam. 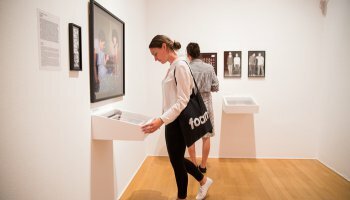 Exclusive Foam Fund events (by invitation only), such as private viewings, visits to photographers' studios and (foreign) photography institutions, lectures, and the annual Foam Fund shareholders meeting. Invitations to gatherings about collecting photography. Exclusive Foam Fund discounts to, among other things, Foam Editions and the use of spaces in Foam. * Wherever this text mentions investment, issuance, shares, shareholders or shareholder meetings, this is not meant in the legal sense. Foam Fund deals exclusively in making donations.